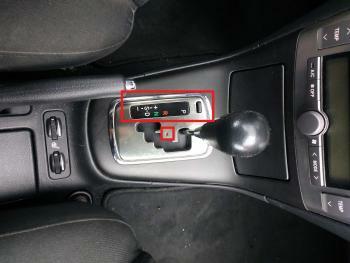 I'm wondering if Toyota Avensis T25 have lightning/illumination on its automatic transmission gear shifter for P-R-N-D ? I don't know whether mine is out or it doesn't have any. I don't want to disassemble it before I know it for sure, it kind of looks very dark there on the night time and it feels like there should be some lightning. Also, I see little hole for some additional R position light, mine does nothing when gear is shifted to R.